← Sickle Cell Trait Toolkit Update: New Educational Resources on Sickle Cell Trait Available, More Coming Soon! Reassessing the approach of the Learn the Signs. Act Early. campaign. Key findings. The Journal of Developmental and Behavioral Pediatrics has published a research study looking at the approach of the Learn the Signs. Act Early. campaign, which encourages parents of young children to track their child’s developmental milestones and to act early if they have concerns about their child’s development. 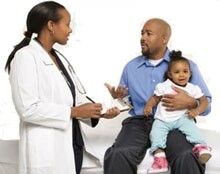 Parents who had a child with a developmental delay or disability said they were usually the first to be concerned about their child’s development and that information on what to expect at different ages, such as the campaign’s milestone checklist, would have been helpful for them to have as they sought help. Other parents who had typically developing children reviewed Learn the Signs. Act Early. materials and understood their purpose and found them appealing and useful. This study provides important information for healthcare providers. Pediatricians and others who provide primary care for young children can help by taking a central role in the early identification of developmental delays and disabilities. This provider role would ideally include using developmental screening tools, monitoring young children’s developmental milestones, providing parents with tools to facilitate monitoring, initiating conversations about child development, and making referrals when needed.